October 10 Update: New 05 Images (Scroll down to end in “Options” Box). 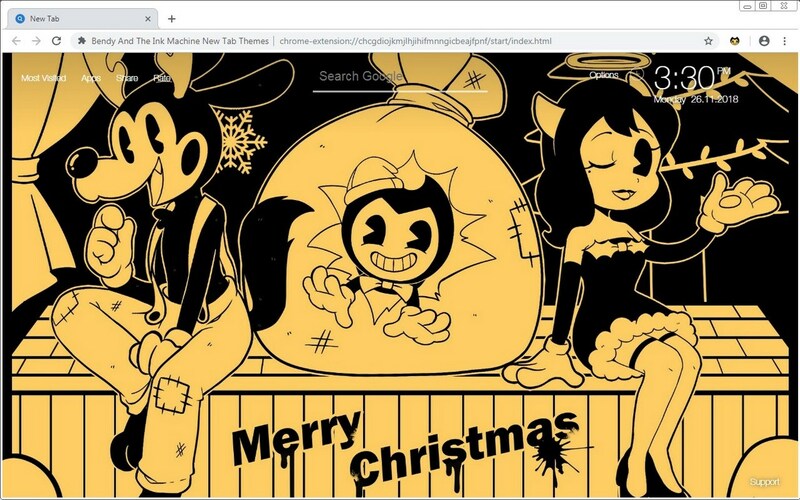 Install my Bendy And The Ink Machine New Tab Themes and enjoy HD wallpapers of incredible Bendy And The Ink Machine with everytime you open a new tab. 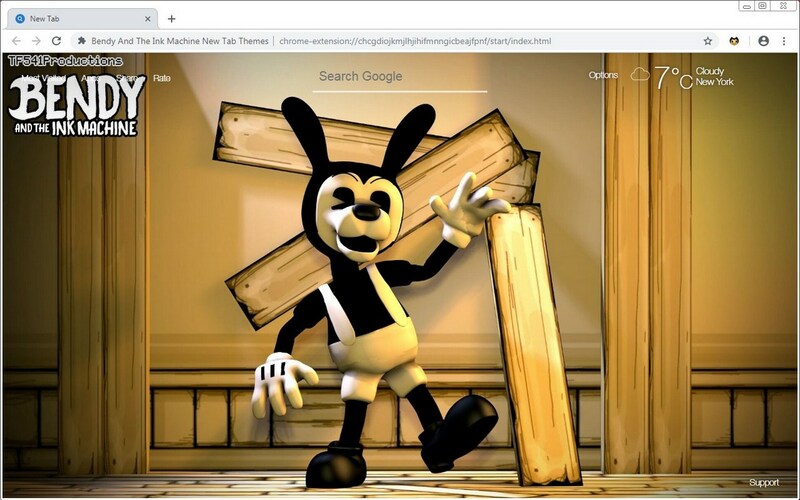 – Select a Bendy And The Ink Machine wallpaper from many available wallpapers. 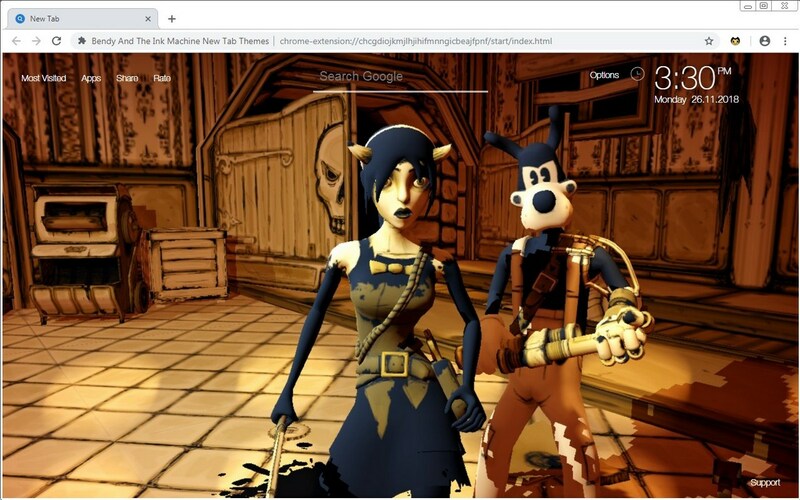 – Shuffle your favorite Bendy And The Ink Machine image, or shuffle all images. – The game was announced to be published by Rooster Teeth Games for several consoles sometimes around in 2018 including PlayStation 4, Xbox One, and Nintendo Switch. – The game comprises of 5 Chapters, each Chapter is released on certain date. Currently 3 Chapters were released and Chapter 4 is expected to release soon this year. 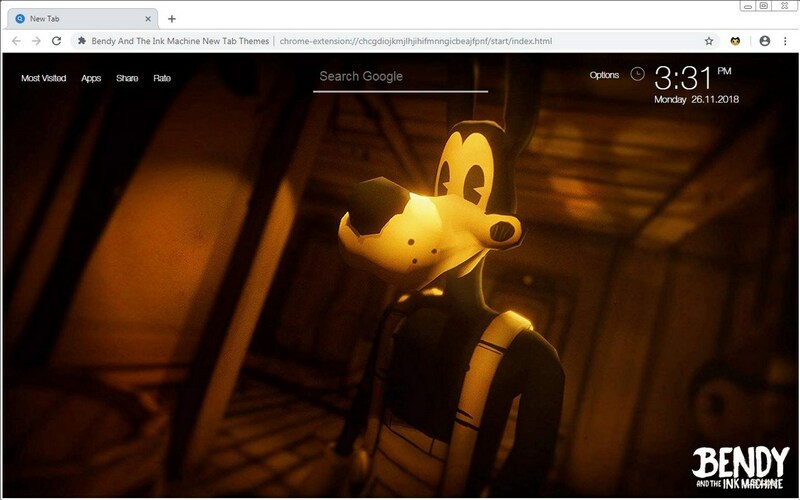 – The game authors include The Meatly (Art director/Story writer) and Mike Mood (Head programer) originally made this game as a fun side project and they didn’t expect it to be so successful. – The game got enough support only within 4 days on Steam Greenlight. – Kyle Allen composed a song for the game and it actually featured in the game.